The new 153,000 square foot law school building containing library, classrooms, clinic, offices, computer lab, etc., is located on a mid-campus site that forms the fourth side of a quadrangle. The other three buildings on the quadrangle are two high-rise, 60’s gridded apartment slabs and the new, high-rise, post-modern business school. None of these buildings, which do not relate well to each other, offered a style to emulate. The new building, while drawing certain design references—such as the ground floor arches—from the older, more handsome and historic buildings on the campus, attempts to emulate the character of a traditional law school building. This prototype is essentially and usually neo-Romanesque or collegiate Gothic in character. 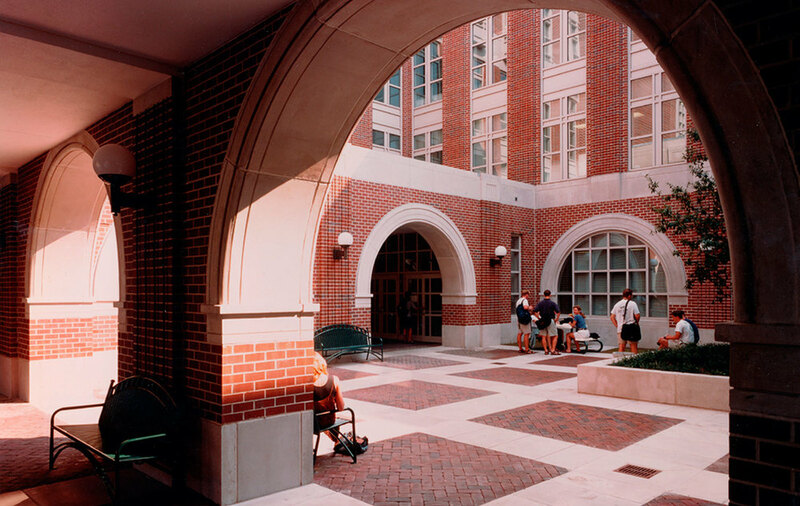 The design places the library in a central, higher block with courtyards (a New Orleans tradition as well as a collegiate tradition) on either side. This allows the rest of the building to be three stories high, respecting the residential scale along the street to the south. 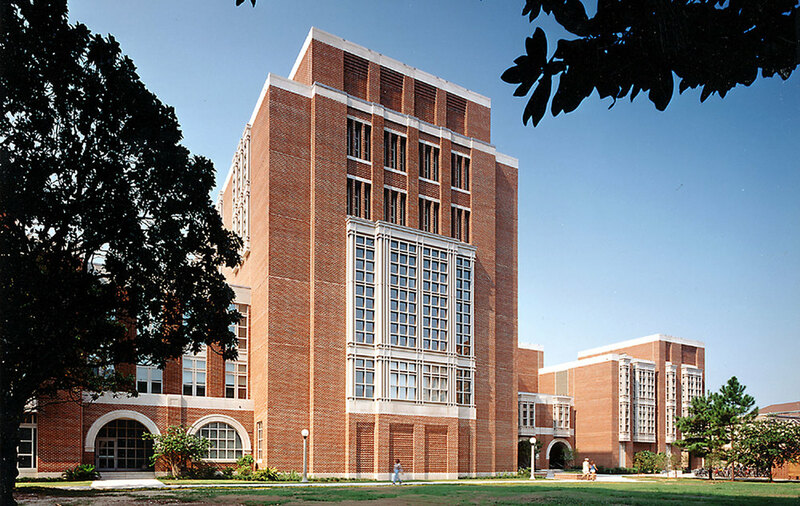 The brick color and pilasters and the precast concrete trim relate directly to the adjoining university buildings to the north, giving a continuity in that direction as well. 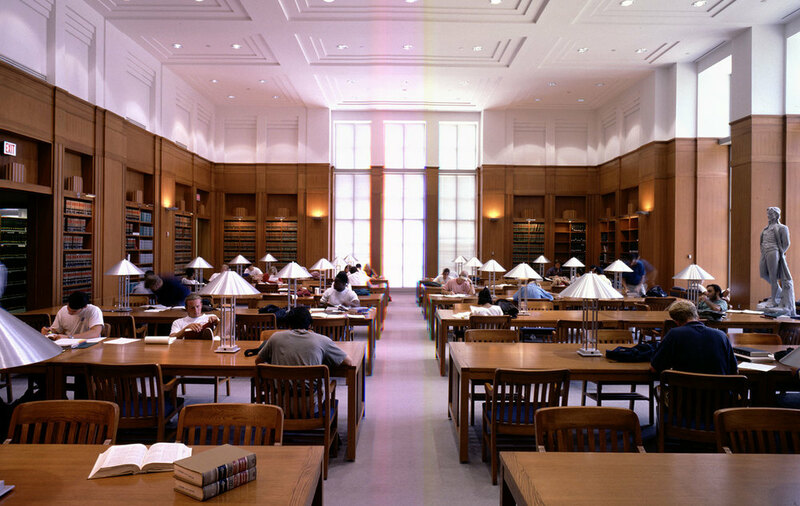 Located at the midpoint of the campus between the older area of the campus and the more recent, the new law school attempts to mediate, stylistically, between the two areas. 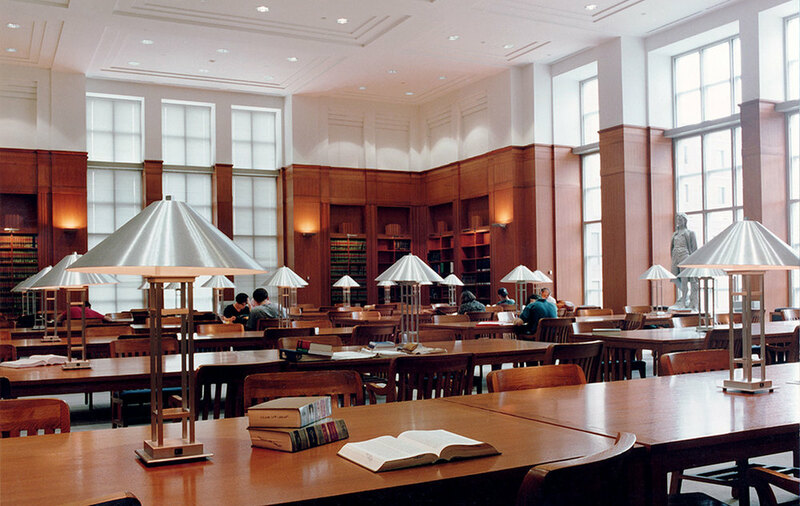 The ample windows, single-loaded corridors around the classrooms and courtrooms and the high-ceilinged main reading room help give a feeling of light and spaciousness throughout.